If you’re thinking about becoming a vegetarian, the changes you’ll need to make to your diet and your life can seem overwhelming. Don’t worry! Here are some tips to help you make the switch without going crazy. If you’re fairly new to cooking, you might run into some terms, often in French, that you don’t recognize. It’s rarely as complicated as it seems – take a look at these explanations of common cooking techniques. Many meat eaters take it upon themselves to attack or try to “knock some sense into” vegetarians. Here are some possible responses and strategies that might help you educate the meat eater, or at least make him/her stop bothering you. If you’re not a vegetarian, the thought of cooking for or eating with someone who is may seem rather daunting. In fact, it’s really not that difficult, if you follow a few simple guidelines and use common sense. Freezing firm or extra-firm tofu gives it a chewy, even meaty consistency and turns it into a marinade-loving sponge. You can use “flax eggs” in place of eggs in any baked recipe like cakes, muffins, and cookies. 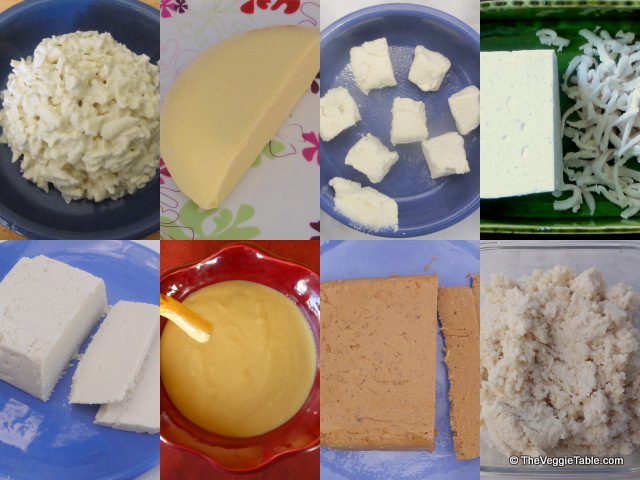 Learn how to make delicious vegan cheeses as well as substitutions for butter, cream, milk, and eggs.